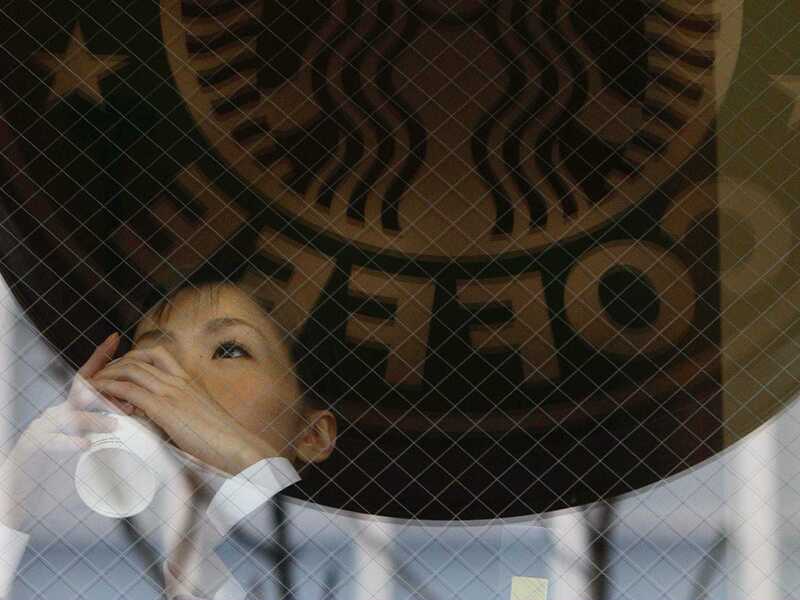 REUTERS/Kevin CoombsA customer sits inside a branch of Starbucks in the Jimbocho district of Tokyo March 15, 2007. Millennials are about to become the most lucrative generation for retailers. The 18 to 33-year-olds’ spending habits are set to peak in the coming years, according to a recent report by Morgan Stanley. As a result, brands from McDonald’s to Macy’s are clamoring to attract the up-and-coming generation. While the emergence of new consumers has hurt some sectors, like casual dining, many major brands will rake in cash, according to the report. “What do Millennials like? Fast casual dining, hotels, buying online, gaming (social and online, less so casinos), eating organic and healthy, and working out more,” the analysts write. 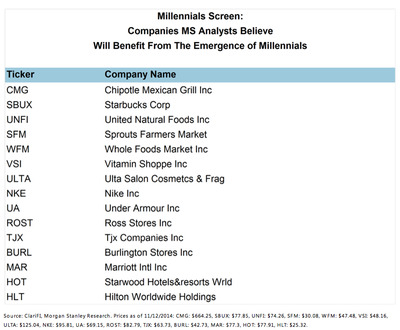 Morgan Stanley put together a chart showing which public companies it expects to most benefit from millennials’ money. 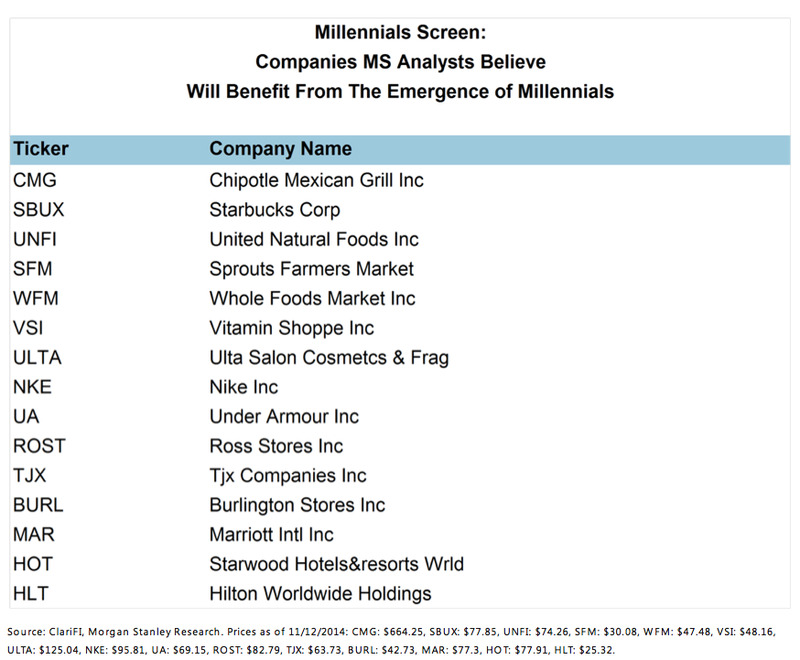 Chipotle and Starbucks top the list because 40% or more of their customers are already millennials, according to the researchers. Organic food and vitamins companies will also fare well because millennials care about health and nutrition more than their parents, according to the report. Whole Foods will do especially well because it is partnering with a company called Instacart to offer delivery. Under Armour and Nike will benefit from the continued “athleisure” trend of wearing workout clothes for a number of casual activities, according to the analysts. Millennials are also concerned with value, which could help propel sales at discounters like TJ Maxx and Burlington Coat factory. And the younger generations’ tendency to spend on “experiences” over possessions means big profits for the hotel industry. “A shift in spending power to global Millennials should continue to benefit Lodging companies as this generation is more mobile, appreciates high-end ‘experiences,’ and the hotels actively cater to this demand,” the analysts write.